This weekend, American composer Viet Cuong will be featured on the Albany Symphony Orchestra’s season opening concert at the Palace Theatre, Albany, NY with a premiere of a new full orchestral version of his concerto for percussion quartet, Re(new)al. The work was first performed in a sinfonietta version last year, but Viet has reworked it substantially to suit the enlarged forces of a full 70-piece symphony orchestra. With the concert just a few days away, I talked with Viet about the work and how switching to Dorico from Finale helped him to put it together quickly and easily. Viet Cuong was born in California but grew up in Georgia, where his love of music was nurtured by experiences like playing in his high school band, an ensemble he continues to focus on today in his work as a member of the Blue Dot Collective, a group of composers focused on writing adventurous new music for wind band. 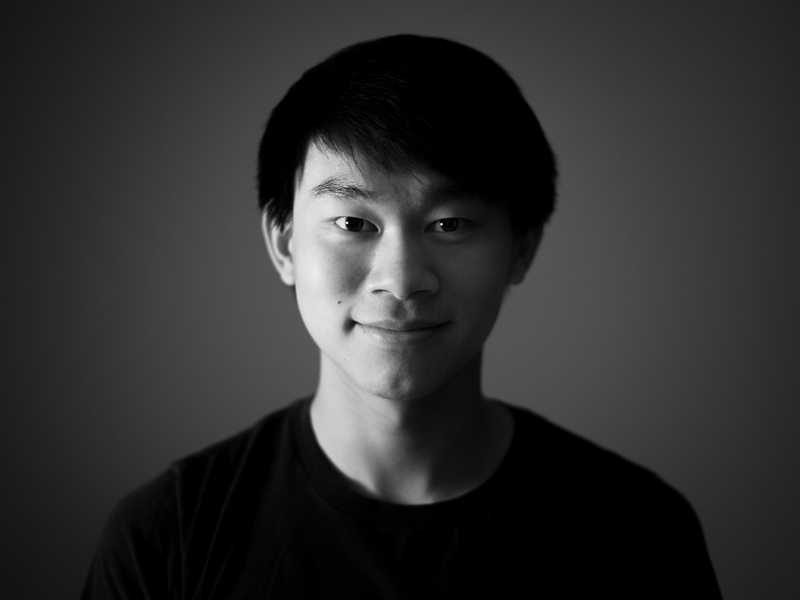 After high school, Viet moved to the north east of the United States and studied first at the Peabody Conservatory of the Johns Hopkins University, before continuing his studies Princeton University, where he is currently in the process of finishing his PhD. As a composer he has received countless scholarships and awards, and his music has been performed on six continents and by prestigious ensembles including the JACK Quartet, Alarm Will Sound and the PRiSM Quartet. A page from the full score for ‘Re(new)al’. DS: As we speak, the premiere of the orchestral version of Re(new)al is just a couple of days away. How did the commission come about? VC: Re(new)al is a percussion quartet concerto that was commissioned by the Albany Symphony in partnership with GE Renewable Energy, and the piece is inspired by hydro, wind, and solar power. 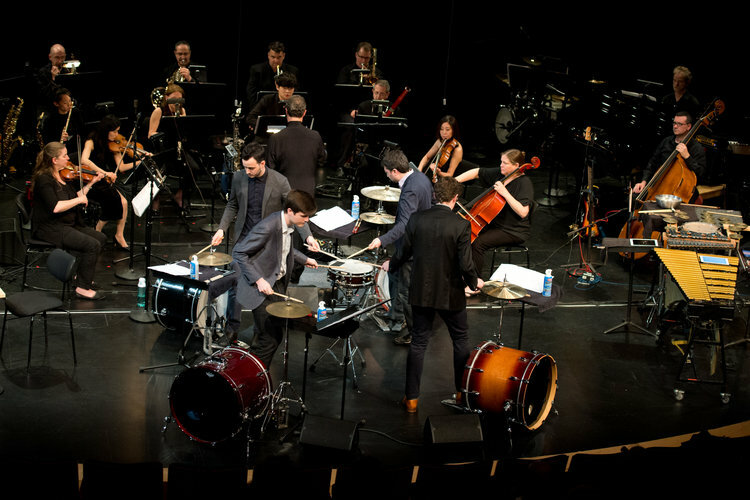 The original version of the piece is scored for percussion quartet and the ASO’s 18-member Dogs of Desire ensemble, led by David Alan Miller, and they premiered it alongside Sandbox Percussion during the 2017 American Music Festival in Troy, NY. 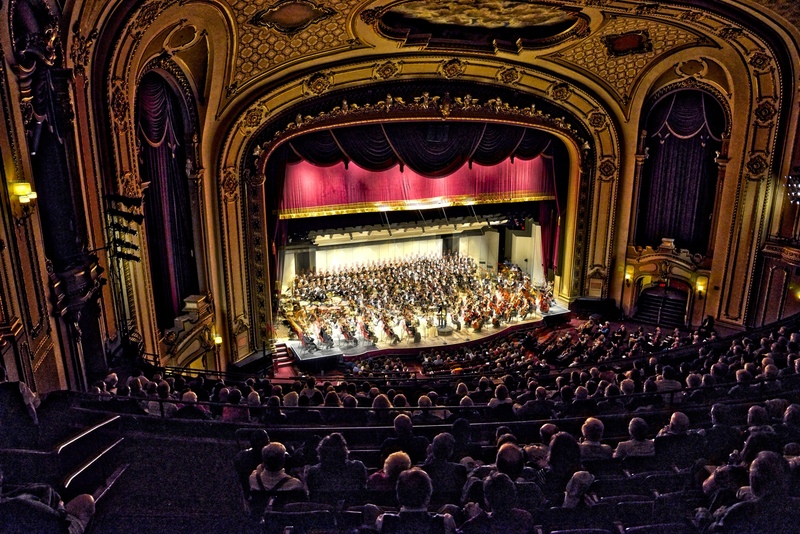 The Albany Symphony has since commissioned a full orchestral version, and this new adaptation will be premiered with Sandbox Percussion this Saturday, October 13, 2018 at the Palace Theater in Albany, NY. DS: Having the sound of the piece inspired by renewable energy is an intriguing proposition – how did you approach that? VC: Much to my surprise, the very specific requests of this commission actually streamlined the process of figuring out the form and choosing which percussion instruments to use. I first visited Sandbox Percussion’s studio in Brooklyn and together we were able to decide on some instruments that could aurally or visually evoke hydro, wind, and solar power. Writing for percussion is quite exciting but also daunting — almost anything can be turned into a percussion instrument, so having a clear objective from the beginning was super helpful. We ultimately decided on using tuned crystal glasses for the water movement, a turbine-shaped drum set formation for the wind movement, and metallic mallet instruments for the solar movement. In addition to instrument choices that are meant to represent these forms of renewable energy, the piece as a whole was inspired by synergy. 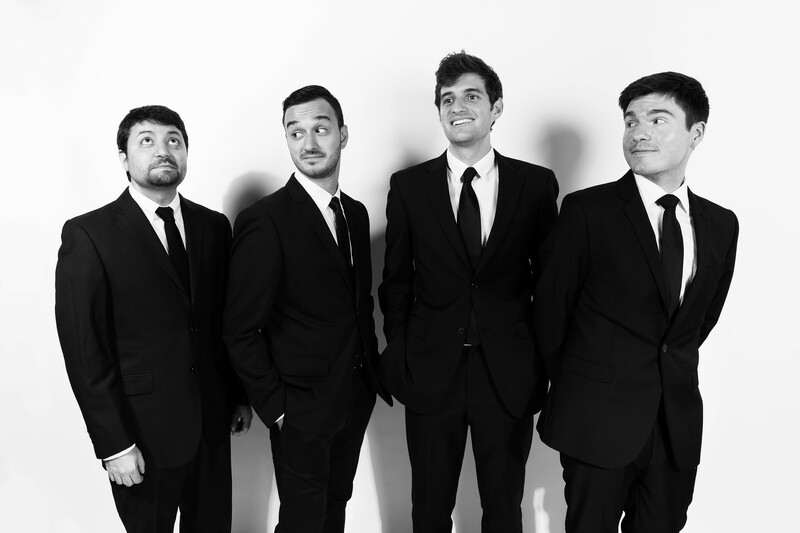 The solo quartet essentially works together as a single soloist, and almost all of their music consists of hockets distributed evenly between the four of them. For example, the quartet divvies up lighting-fast drum set beats in the second movement and later shares one glockenspiel in the last movement. But perhaps my favorite example of synergy in the piece is in the very opening, where the four soloists toast crystal glasses with each other to create different patterns and chords. The soloists’ music would be pretty much impossible to play as a single person and the hockets make it all possible (though Sandbox tells me it’s still thoroughly difficult!). DS: The toast at the beginning of the piece gives the opening some real visual drama as well as sounding fantastic – everyone should check out the YouTube recording of the original, smaller-scale version of the piece. What a great idea! How did you find Dorico helped you in putting Re(new)al together? VC: The new orchestral version of this piece was the first thing I wrote in Dorico. Looking back I really have to laugh — it was a pretty big leap of faith that my first piece in Dorico was a percussion quartet concerto with a 70-piece orchestra. 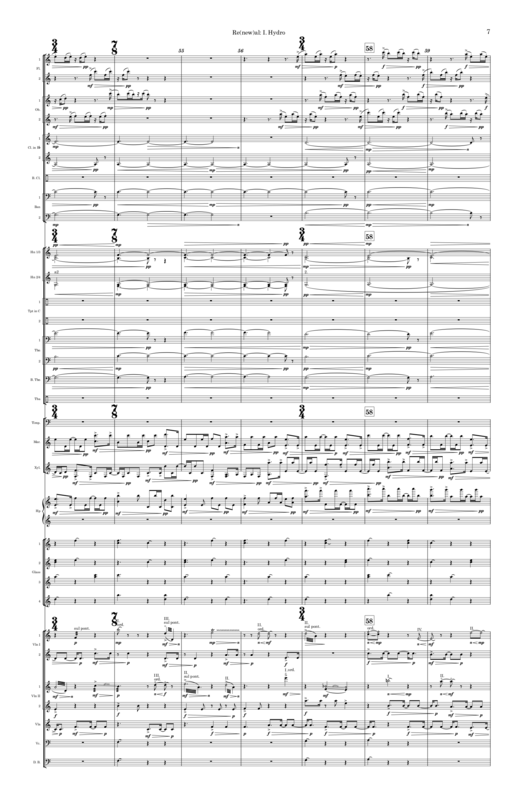 The original sinfonietta version of the piece was written in Finale, so I had to input all the music for this new version from scratch even though the percussion soloist parts remained largely the same. Regardless, I think that the ways in which Dorico saved time elsewhere more than made up for that. There are so many things that I enjoy about Dorico, and my favorite might be the way staves automatically move to create room for notes and other markings. In an orchestral score with 30+ staves, manually adjusting every staff on every page is one of the most time-consuming things that an engraver can be tasked with doing. Eliminating this step is just amazing. In addition to this, there are plenty of other small things that altogether save time; I love the way dynamics and playing techniques just snap right into place and don’t require that I line them up myself. I also love that glissandi lines don’t run into accidentals. And the way Dorico handles divisi is the way it always should have been for every other notation software. Going forward I really believe that using Dorico will allow me to take on more projects, and, more importantly, deliver new pieces on time! DS: I wish you all the best for this weekend’s big performance, and look forward to seeing and hearing more of your music in future. Thanks for taking the time! Find out more about Viet Cuong’s music at his web site. If you’ve not tried out Dorico for yourself, you can download a fully-functional 30-day trial version absolutely free.